Ian's Tech Ramblings. (old posts, page 3) | Ian's Tech Ramblings. Platypus Water Bottles. These aren't cheap, but if you shop around you can get them for less than the prices you can find on Amazon. They are available in various capacities and with different tops e.g. a straight screw on, or one with a pull up drinker. So why would you buy one, rather than just use a recycled bottled water container? Their main usp is that they occupy almost no space when empty. They are also very robust. My oldest one is about 5 years old and still going strong. 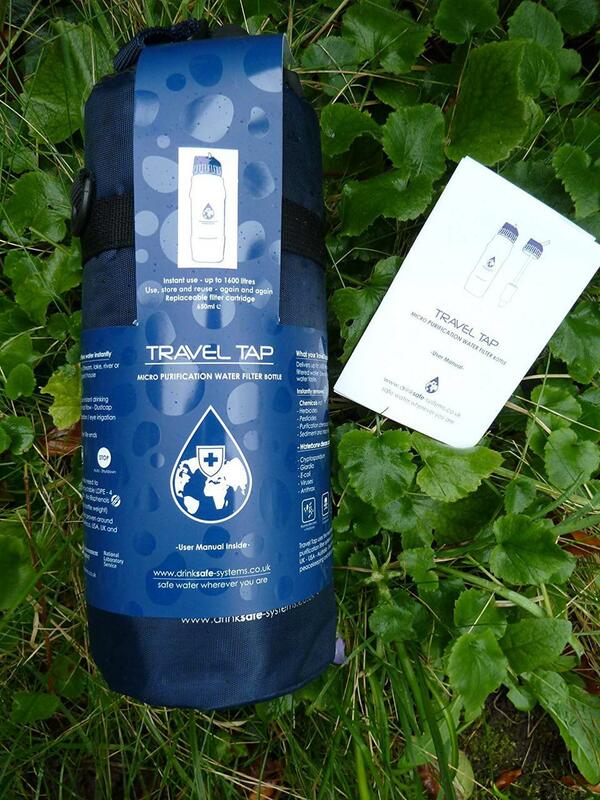 If you use a hydration drink tube inside a rucksack they are compatible with all the common systems. If I go camping I need about three litres of water for an overnight stop to rehydrate meals and drink. I try and get water as close as possible to the place I camp. If I used rigid containers they would be wasting 3 litres of space inside my rucksack for most of the day. When not in use, I roll them up and store in the freezer to stop fungal growth. Sorry for the fake Echo effect:) Got one of these for the kitchen and so far am impressed. As usual with Amazon stuff it came pre-setup with our account details, so plugged it in and connected it to the Wifi and it just worked. Voice recognition is good. We have a large kitchen and the Dot is positioned on a shelf near one corner. There is no problem getting it to recognise voice commands from 15 or 20ft away. I mainly use it to listen to various radio channels (using TuneIn radio) and Amazon Music. Being able to operate it purely with voice commands is great in a kitchen, where your hands are either wet, or covered in food. I haven't bothered to connect it to a bluetooth speaker yet, as the built in one is adequate for kitchen use. I may end up transferring our Google Play music subscription to a Spotify Family one, since the Dot can connect to Spotify, but not Google (no surprises there:) However, I find Amazon Music had improved recently and most stuff I want to listen to is available from there. Don't have any smart lights, so can't comment on how it works with SmartHome stuff. Having three children who think that light switches are don't have any off function, what I would like is an app that monitors the lights in each room they go into and then if they go out of the room without switching the light off, calculates the amount of electric used until someone comes along and turns the light off. The cost of the electricity should then be transferred directly out of their bank account into mine! Edit: Just found out that if you buy the Audible narration for a Kindle book, you can listen to it on the Echo. I haven't subscribed to Audible in the past because I didn't want to be tied into a subscription model. However, if you go to the Audible login page and log in with your Amazon account details, you can see and play any Audible books that you have bought together with a Kindle book, no subscription required. In fact it looks as though it's often cheaper to buy the Audible book together with the Kindle book, rather than buy the Audible book on its own. At the moment this site is just a bit of fun, but I could see the idea being developed into all sorts of interesting uses. At the moment it takes cycling GPS tracks uploaded to Strava and turns them into a sort of flyover video. I presume it uses Google Earth. If you have uploaded some photos with your track it will pause at the relevant part of the track and show the photo. Living in close proximity to a couple of hundred cows, we are often inundated with flies in the kitchen when it's warm outside. There are lots of brands of fly papers about, but we have found these to be the best we have tried. They claim not to contain any chemical insecticide, but just use natural ingredients. We have tried several other methods of controlling flies, but these definitely result in the highest body count! The only downside is that you have bits of sticky paper with dead flies stuck to them. However, they are cheap enough to put fresh ones up at frequent intervals. Don't touch the sticky stuff on the paper when you are putting them up. It is very hard to remove it from your fingers!